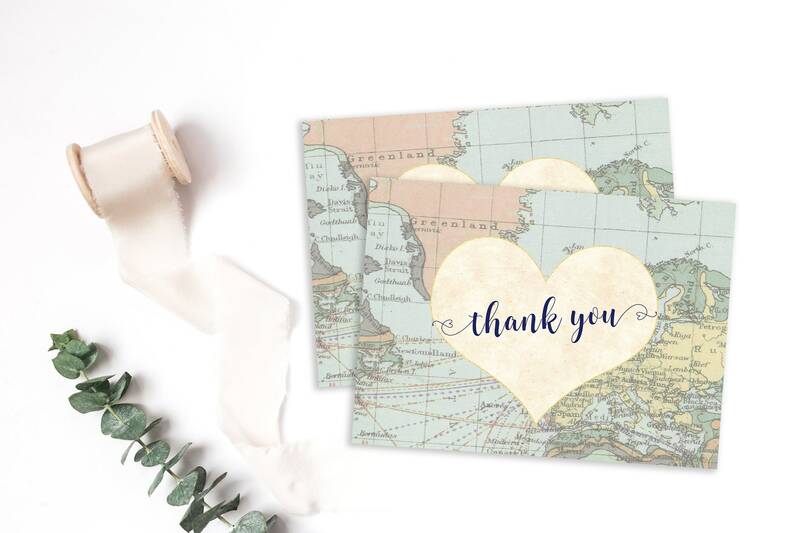 This listing allows you either: (1) to purchase your thank you card as a digital file only; or (2) to purchase as many PRINTED flat notecards as you need. Simply use the drop-down menu to choose. Please note that the digital file is NOT an instant download. It will be emailed to you. Thank you cards are not editable PDFs and come as shown in the listing photo. If you would like a special message, a fee may apply. Please convo me beforehand with any inquiries. Notecards measure 4" x 5.5" and printed thank you cards include envelopes. (1) Two high resolution PDFs (one file each for front and back), with two images per page. When you print, each 8.5”x11” sheet of card stock or paper will yield two cards. Cards come with ⅛” bleed around the edges and trim marks. Use the PDF files when printing on your own or at your local print shop. For best results, print on white card stock, 110-lb or greater. (2) Two high resolution, single-image JPEGs (one each for front and back). Cards come with ⅛” bleed around the edge. Use the JPEG files for best results when uploading to a website for printing. Notecards are 4”x5.5” (when trimmed). Designed for standard A2 envelopes. Emailed within 48 hours. RUSH orders of digital files are available for $10 extra, and files will be delivered within 24 hours -- simply purchase this listing in addition to the invitation: https://www.etsy.com/listing/467447990/rush-order-first-proof-within-24-hours?ref=shop_home_active_1. If you need an invitation sooner than that, please convo me before ordering.